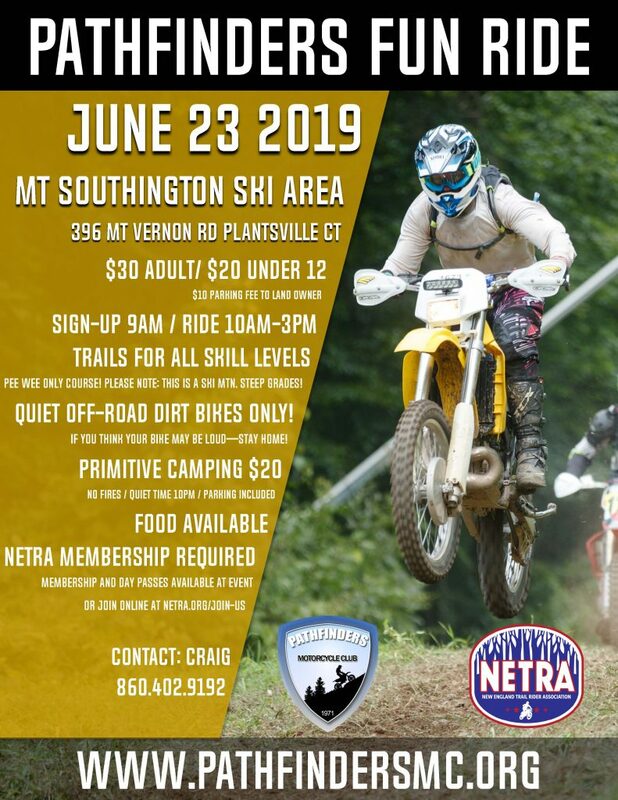 The Pathfinders Motorcycle Club of Connecticut has been promoting responsible, fun, family-oriented riding in New England since 1971. We are an official AMA and NETRA club and actively participate in the competitive side of riding by sanctioning hare scrambles, turkey runs, and enduros. Many of our members compete in these events as well. An important part of responsible riding is giving back to the community. You will find many of us riding, maintaining and patrolling the trails at the Thomaston Dam. 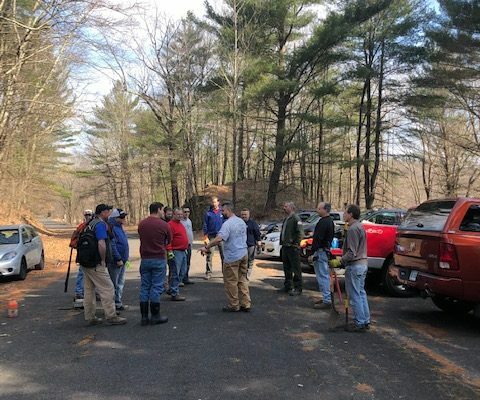 Through a cooperative agreement with the U.S. Army Corp of Engineers, the Pathfinders have been promoting safe and legal riding at the Thomaston Dam since 1979. Another example of giving back is the annual Pathfinders Scholarship Fund which provides financial assistance to two deserving college students. Join or Renew your AMA Membership through our website and support the Pathfinders!